The legendary Ray Conniff, one of Christmas music’s all-time great mega superstars, has the second most songs on the Yule Log soundtrack, with a total of 7. He is second only to the greatest mega superstar of them all, the King of the Yule Log (and all of Christmas music for that matter), Percy Faith, who has a whopping and well-deserved 16 songs. Featured here in this In The Spotlight tribute is Mr. Conniff’s great, great medley, "Jolly Old St. Nicholas"/"The Little Drummer Boy," and it comes from his second classic Christmas album, We Wish You A Merry Christmas, which was released by Columbia Records in 1962. The pairing of these two songs was a stroke of arranging genius by Mr. Conniff, as the songs really complement each other so well. This is especially true because Mr. Conniff changed the lyrics of the last line of "Jolly Old St. Nicholas" from “Choose for me dear Santa Claus what you think is best” to “Give little Billy a drum this year because that’s what he likes best.” When "Jolly Old St. Nicholas" concludes, and after a brief pregnant pause, the group transitions into the second song of the medley, "The Little Drummer Boy." It is of my personal opinion that Mr. Conniff had the very best version of "The Little Drummer Boy" ever recorded. By the way, not only are all three of Ray Conniff’s Christmas albums in the 1st Tier of my Top 500 (albums 1-125), but the first two (1959’s Christmas With Conniff and 1962’s We Wish You A Merry Christmas) are in my all-time Ultra Top 10, coming in at #7 and #8; and the third (1965’s Here We Come A-Caroling) is in my all-time Top 25, coming in at #24. All three LPs are rated at a solid 10. Here now, without further ado, are the great Ray Conniff Singers with their wistful and poignant medley, "Jolly Old St. Nicholas"/"The Little Drummer Boy." Click Here ~ "Jolly Old St. Nicholas"/"The Little Drummer Boy"
As a bonus, this one I just had to post: it’s a rare and fantastic clip of Ray and his talented group performing their joyous and rousing rendition of "Joy To The World" on his 1965 TV Christmas special. The song is from his third Christmas album, Here We Come A-Caroling, which was released by Columbia Records in 1965. So get ready, turn up the volume, and be prepared to have one hell of a good time with this one because it really rocks! By the way, check out Ray with the tambourine!! Click Here ~ "Joy To The World"
Hi Chip...I go for Ray Conniff myself. It was way before this site was even thought of that I had to rely on hearing Xmas music from various sources such as CD stores or any other source available to be able to get as many songs from the YL as possible. I was passing in front of Macy's where Santa Claus was ringing the bell for the Salvation Army and coincidentally, he was playing the same version of Jingle Bells as heard on the YL by Mr. Conniff. Having recognized it right away, I asked Santa who the artist was. I wasted no time in purchasing the same CD he had..."Christmas With Conniff" which also had a few other selections that also appeared on the YL. A nice little memory, but the challenge still remained on whether or not I would EVER find out who did all the other songs. Thank god for the 'net!!! Cute story, Rich; thanks for sharing it. 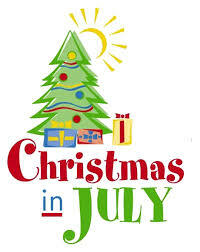 And Merry Christmas in July to you, too! Mr. Conniff is a great addition to the "In The Spolight" series. His Christmas music is well known to me, and I agree with you that he is one of Christmas music's all-time best. I so agree with you regarding the arrangement of his medley, Jolly Old Saint Nicholas/The Little Drummer Boy. It is masterful. Thanks for the music clips!!! It's a great way to prove your point. Chip. I just got a copy of the Ray Conniff Christmas Special DVD. You can order it through the Ray Conniff Fan Club website. It was awesome watching this to see the faces of the singers who's music I grew up listening to on my Dad's LPs. I'd highly recommend it to everyone. I already have Ray Conniff's 1965 Christmas special, Dave. It's a private copy that was given to me by a friend. By the way, I posted an excerpt from this classic special on my opening post on this thread. It's of the group doing their great rendition of Joy To The World. For those who would like to see it, scroll up to my first post on this thread dated July 5, 2009. There are additional excerpts of the show on YouTube.